Based on the 2201 Ranger™, the Ranger 165™ is fitted with a high quality 165mm f2.0 lens offering 5.1x magnification and a field of view of 7°. 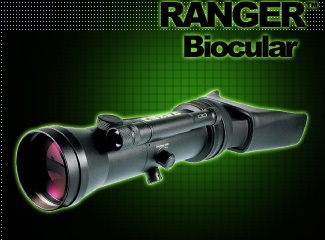 The Ranger 165™ utilises a Gen 2 tube with a 25mm MCP. Power is provided by 2 x 1.5V Alkaline AA/MN1500 batteries (not supplied). The powerful built-in 75mW Infrared Illuminator has 3 power settings and a variable beam with power being supplied by the scopes batteries. Features include automatic brightness control, a built-in manual gain control and Bright Point Protection. A tripod socket is built in to the right side of the body just forward of the hand strap. 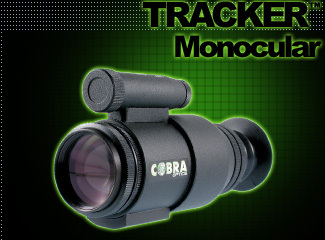 An optional monocular eyepiece (with camera adaptor) boosts magnification to 7.3x. The Night Shadow comes standard with our cutting edge "Smart" technology. This technology consist of a computerized proximity sensor, digital controls and a long-range infra-red illuminator. The proximity sensor will automatically turn the unit on and off when it is brought to the viewing position. This helps save your battery life and the life of the unit itself. The digital controls allow you to activate all of the features of the Night Shadow with an easy push of a button. 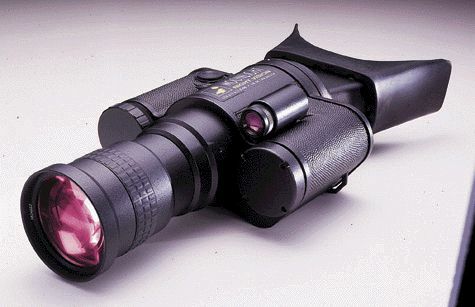 We also built a powerful infra-red illuminator into the scope. 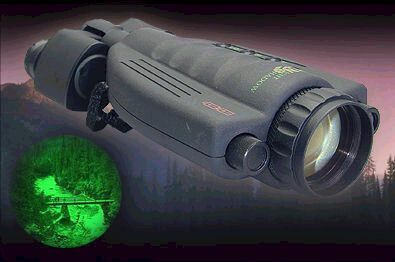 This allows you to see even in total darkness with outstanding clarity. It is dark. You can barely see your hand in front of your face. 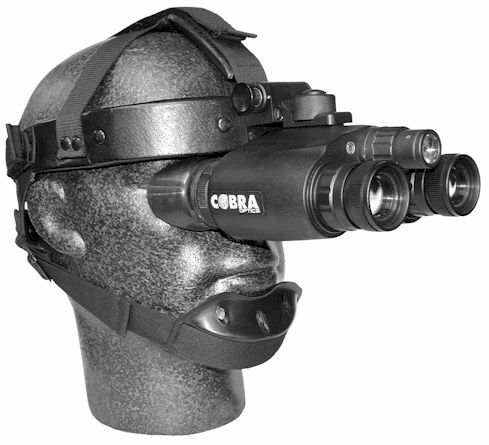 You bring your Night Shadow night vision device up to your eyes and turn it on. Suddenly, in green-hued clarity, the entire scene is like day. For Camping, Boating, Nature study, or Law Enforcement, there is simply no better Bi-ocular night vision device on the market. A high power IR illuminator with 75mw or 150mw IR diode designed to attach to the Tracker, Tracker 100, Pioneer, Pioneer 100, Sabre and Scimitar. Can also be hand held. 805nm output, variable beam and 3 power settings. SCORPION BAIGISH-6U is an excellent example of how elaborations of the night vision equipment designed for the military take stable positions now on a consumer market. If you are looking for real 2-nd generation night vision binocular with resolution not less then 30 lines/mm (760 lpi) this is BAIGISH-6U. 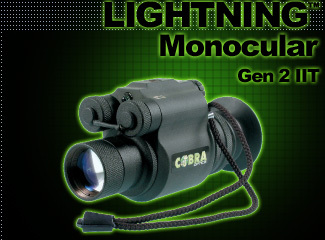 It's perfect binocular eyepiece lets easily keep observation at any distance. It's very important that BAIGISH-6U has a weather proof metallic body. Unlike other night vision devices, especially equipped with a plastic body, BAIGISH-6U does not look like a toy at all. Really, this device is for a serious user.